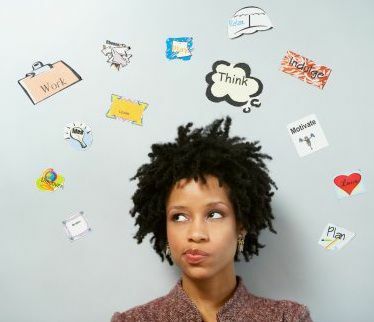 Are you open to suggestions for clearing away brain fog and quieting mental chatter? Decluttering the natural pathways of your brain will require you to make some changes. Primarily you will need to monitor or curb any self-defeating habits that are likely creating confusion, chaos, or roadblocks in your mind. Do you have a mental "to-do list" that is overloading your brain power? Or is indecisiveness possibly robbing you of clear and focused thought? Make an effort to periodically clear your mind of any obsessive thoughts that are overwhelming you. You will likely be bogged down with a serious case of brain drain unless you routinely take the initiative and consciously clear your mind of non-productive thoughts. Lingering thoughts that are hanging around creating a depressive atmosphere creates mental anguish. Are you plagued with mental chatter that repeatedly criticizes --telling you that you are not accomplishing everything that needs to get done? The last thing a person needs is monkey-brain chatter berating you. What a waste of energy! I would venture to speculate that most people tend to pile their plates to excess with responsibilities. Either we unwittingly take on too many duties, or we are not effective time managers. Unfortunately, following glib advice like "just say no whenever asked to take on additional projects" or "delegate your tasks" isn't always feasible. Unfortunately, there are some things we cannot say no to, even though we might like to. And there are certain areas in which we simply are not comfortable delegating over to someone else. Hello, Control Issues! Are You Guilty of Wasting Time? Who hasn't been guilty of wasting time? There is certainly a learning curve when it comes to achieving time efficiency. Whenever I am in a state of avoidance or am having difficulty making a decision, I tend to make myself very busy doing other things. This is how we attempt to fool ourselves into believing that we are not really avoiding anything. The excuse we give is that we are simply too busy to get around to everything. What a load of crap! Can you tell that I'm not very good at convincing myself? Pesky tasks that are neglected tend to will linger in the recesses of your brain, constantly nagging in the background day after day until you actually get around to doing them. It is usually not until I take the bull by the horns and finish the daunting activity that I realize just how much time and energy I wasted in mental anguish during my avoidance period. Better to just roll-up your sleeves and get to work on that project to begin with. Right? You may have put a particular task on the back-burner, choosing to ignore it for a few days, weeks, or even months. Meanwhile, the uncomfortable undone-ness of whatever it is you are avoiding is likely simmering away in the back of your mind making a nuisance of itself. The stream of hot steam emitting from that stew pot will be blurring or blocking your thought processes non-stop. Nagging reminders of unfinished business clutter our minds, weigh heavily on the heart, and can also adversely effect our overall health. My best advice is to avoid avoidance at all costs. Stop stressing over your indecision, breathe deep into your gut and take a leap of faith. Don't worry that your decisive actions may turn out less than wonderful. You'll never know for sure until you allow something new or different a chance to evolve. Take action and do whatever it is that you have been intending to do but never get around to it because it isn't the most pleasant task to attend to. Take my word for it, you will feel so much better having put the task behind you. Completing your tasks will purge those nagging thoughts of unfinished business from your mind. Tackle the pesky tasks one by one. Just Do It! You'll be happier and healthier for it.